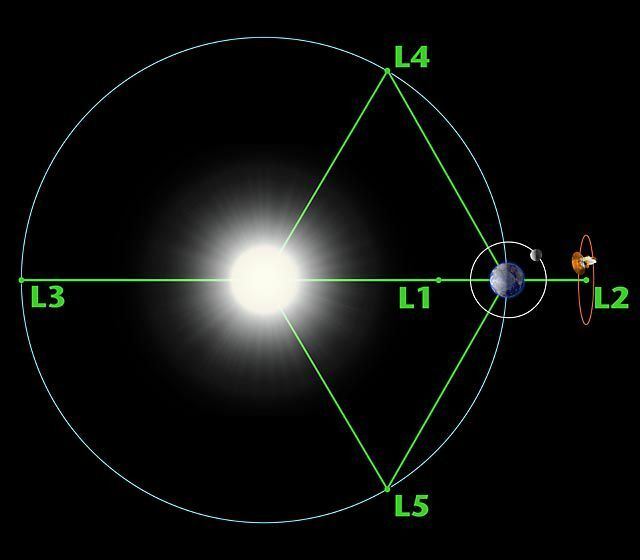 The Lagrangian point L2 (amongst the five points that exist) is at 1.5 million km from Earth in the opposite direction to the Sun and is outside the Van Allen belts. Lagrangian point L2. Credit: NASA-WMAP Science Team.